Doug Putman, the owner of Sunrise Records, a Canadian record retailer, has stepped in to rescue the HMV chain of stores after the company went into administration before Christmas 2018. In the process of saving HMV Putman saw off the interest shown by Mike Ashley, Sports Direct CEO, who was reportedly in talks to rescue HMV from administration. Had Ashley been successful he would have been even more prevalent in the UK games industry, since he already owns a large stake in UK retailer GAME. It’s been confirmed that despite being rescued 27 of the 127 HMV stores that are still open will be closed, causing the loss of 455 jobs. In addition 122 warehouse jobs will be lost as part of the process of saving the chain, and a further 1,500 jobs. Sunrise Records acquired over 70 HMV store sites in Canada after HMV went bust, which expanded the reach of the retailer from 5 to more than 80 stores. In a statement Putman said that Sunrise Records were very happy to be adding 1,500 new employees to the team, as well as gaining the most iconic entertainment and music business in the UK. Putman added that he hopes to replicate the success the company has seen in Canada by expanding its reach and diverse range of physical format content to a brand new audience. Putman thanked the employees, customers, landlords, and suppliers who have helped or will be helping with the acquisition. He said in a statement that he was extremely grateful, and that the physical media business is here to stay. In December HMV filed a notice that they intended to appoint administrators, which would have been the second time in 6 years that the company had done so. Hilco previously saved HMV, at which point it doubled down on music and movie products, shying away from their plans to expand the video game side of the business. 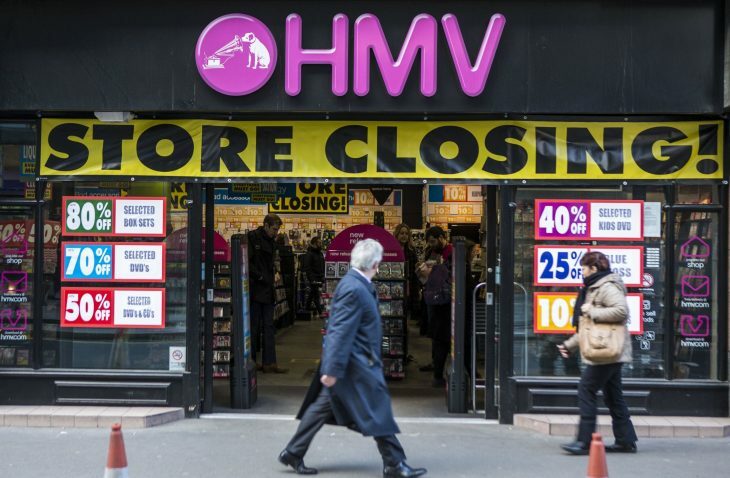 It’s thought that Hilco is unlikely to now ever recuperate to investment of more than £60 million lent to HMV in 2013. Paul McGowan, HMV Chair, said that HMV is suffering against the tsunami of challenges that face all UK retailers. Even though the stores are well run and organised, they still face obstacles such as an annual cost of more than £15 million a year in business rates alone. Hopefully for HMV this change in ownership will be able to breathe new life into the company, and prevent them from going down the path of bankruptcy every again.